Mary Padian hinted about her love life on an episode of Storage Wars: Texas introducing a handsome blonde guy to her crew. 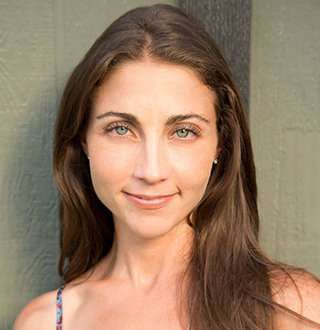 Mary Padian is best known for appearing as a buyer on the spin-off series, Storage Wars. American television star Mary Padian had gained widespread popularity when she was cast in the reality television show Storage Wars in 2011. Here are some enthralling wikis on Mary Padian's net worth and romantic affair with her possible husband. Born on 24 August 1980, Mary was raised in Dallas, Texas. As per wiki, she possesses a mixed descent as her father, John Padian, is of Irish ancestry while her mother, Teresa Padian, is Lebanese. She has a younger brother Luke. Her parents divorced back in 2009. Her father John was the operator of a junkyard when she was growing up. Now, he has his own business called JP Transmission Salvage. Mary often mentions her family on her social accounts. Back in December 2015, she shared a childhood photo of her dad and brother Luke. Later in 2016, she also posted a picture via Instagram with her Grandpa Jack and Grandma Pat saying it was their first official selfie with her. After graduating from the University of Texas with a degree in photojournalism in 2003, Mary temporarily worked as an intern at D Home Magazine. After that, she emigrated to New York City and became an assistant editor for Architectural Digest. And later she created and produced a section for them called Mary’s Finds. Mary, who stands at the height of 5 feet 1 inch, got her first big break in her career in 2010 when she moved back to Texas and opened her shop named ‘Mary’s Finds’ featuring antique and refurbished furniture and other home decoration. Then years later she got the role in the Storage Wars: Texas show in 2012 through her shop. And during the second season, she became a leading cast member of the show and gained widespread popularity. Mary, who is also known as The Junkster, has made a well-off fortune through her profession. Mary's net worth is approximated to be around the $600 thousand. Talking about her love life, she is a reserved person. However, the only hint at her dating life came while she was doing an episode of Storage Wars: Texas. Mary doesn't hesitate to show her love for her family on her social media sites even if it's just posting a random family picture. She couldn't help but gush about the fact that her brother joined the show, Storage Wars alongside. During a visit to a beach in Florida with her whole family, Mary couldn't let the chance slip to share the adorable family moment on Instagram. After a hectic and exhausting time on the set of the Storage Wars, Mary seems to find solace in some laid-back time she spends with her family. Though she loves her friends from the set, Mary can't help but put her first family above everything else. It's lovely to know that your family has your back in any situation and Mary proves it through her affection for her family. Mary brought her new boyfriend, Dylan to the episode “Mary’s Big Score’ of the show Storage Wars: Texas that aired on 3 May 2016. Dylan came to the show to accompany her to the auction in EI Monte and even won the first unit for $3,000. Previously, in one of her interview, she gushed about finding love in California, but Texas happened to be the place where she met her boyfriend. She referred to him as her ‘perfect man’ during the episode. She even defended him when her co-star Rene commented on his age. Apparently, he is younger than Mary, but there is not much information about her boyfriend, and he has never shown up again on the show. So as of now, their relationship remains a mystery, and it’s hard to know whether Mary is married to her husband-to-be or they have ended their relationship.